The blouses are of exceptional quality, I am proud to wear them. 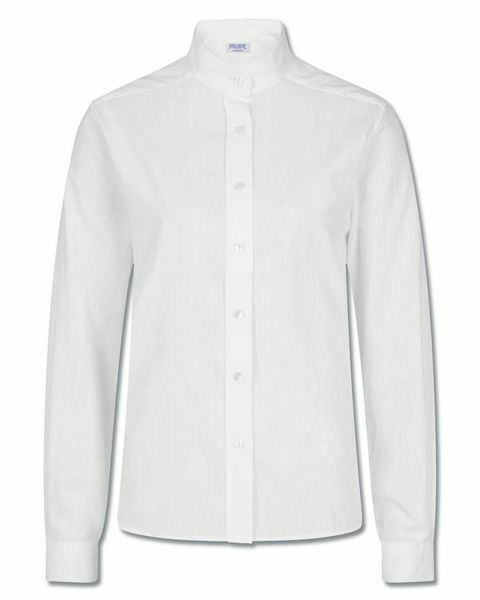 Ladies mandarin collared style blouse cut from pure cotton with delicate self stripe. An elegant addition to any outfit. Straight hem and side vents to be easily worn outside or tucked in. Available in Long and Short sleeves. "The blouses are of exceptional quality, I am proud to wear them. "